Steve Immel Photography: Please help. I'm falling. The moment I got a glimmer of the Grand Canyon’s epic South Rim I descended into an abyss of corny snapshots and Kodachrome post cards. The Grand has that effect. I skirted the rusty maze for a dozen miles or so, pulling into every scenic vista for a hackneyed memento of the canyon’s grandeur. Transcendence escaped me that’s for sure. 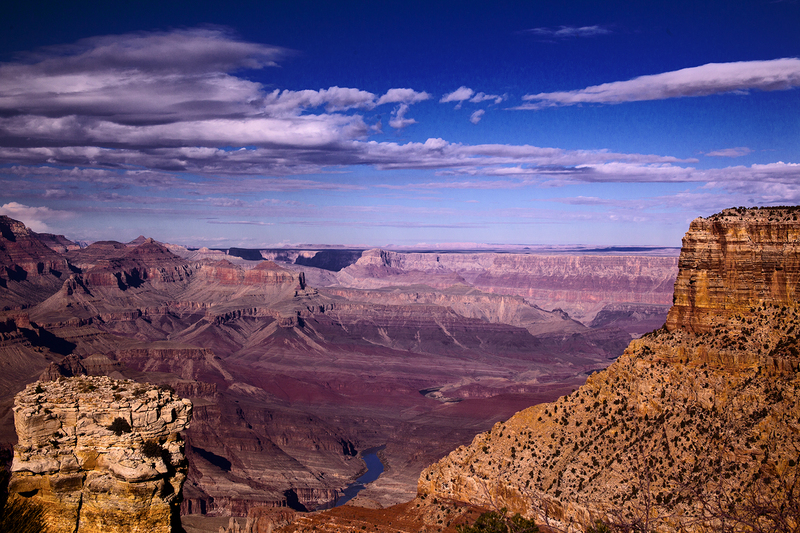 Still to paraphrase an old bromide, a bad day at the Grand Canyon is better than a good day at the office. I hadn’t been there for thirty years or so and still have a straw cowboy hat I bought in Flagstaff on the trip with the kids. I’m a guy with lots of hats that are scarcely ever worn. But then I’m also “all hat and no cattle” to use western lingo to describe a dude, a pretender and a tenderfoot. Every boy, it seems to me, wants to be a cowboy and that’s been true of me since mom bought me my first boots in Tucson back in 1951. The smell of leather still transports me to the Santa Rita Hotel, Porter’s Western Wear and the Rocky Mountain Oyster Club. Rocky Mountain Oysters are, shall we say, byproducts of the round up. 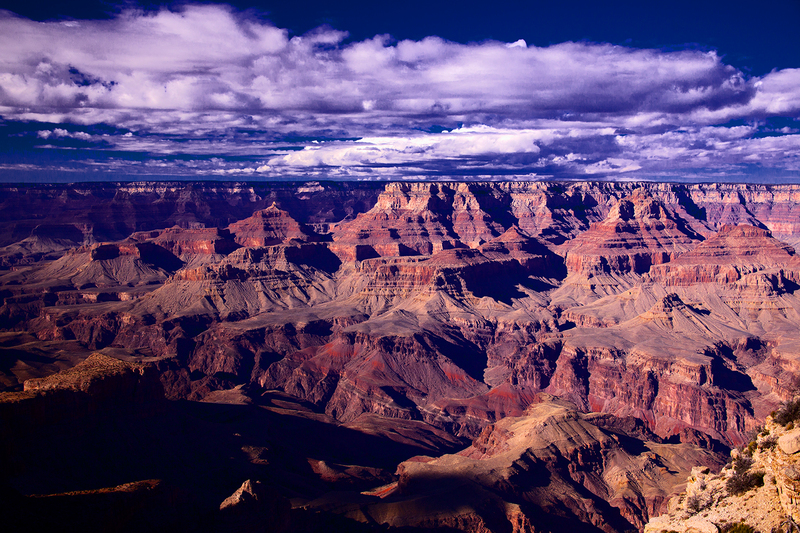 With that stream of consciousness I've wandered past my Grand Canyon moment. Novelists often describe how the book wrote itself. I think I just experienced that on a pedestrian level. Well, if you are gonna "fall into a Kodachrome postcard" mode as you so aptly put it, what better place to do so than at this national treasure? Blue skies, highlighted by fluffy clouds even adds to the splendor of your "Kodak moment". 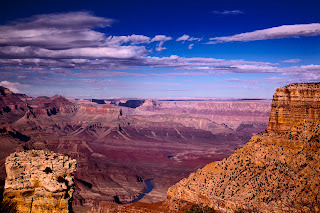 Your photographs have made me want to pack it up and head west-Nikon in hand-- to capture "the canyon". People with high standards deserve only the maximum quality products. Especially for industry professionals, authors, and research workers, just the most effective British grammar test software needs to be properly used. visit site to see more and I live their writing service that I've used for my papers writing. People need help when they are falling from the top of their places. It is tough to hold them back in that position but we can motive them at least. click to read and know your best to writing your papers.